Home » Blog » Blogs » We Are All One! As I look around me, I notice that each and every person on this earth are individual in nature. I see a difference in their height, weight, skin color and where they come from but I know that underneath it all there exists a universal “Oneness”. We all are created in His image and likeness and although we practice our own rituals, spiritual beliefs, and religions, we cannot get away from the fact that we are all part of the universal creator – God. All the world’s major religions have a similar aim, so harmony between them is both important and necessary. all religions have the same potential to be of help to mankind. love, compassion and respect for others. This truism affirms the fact that no matter what we believe or what religion we practice, we are all connected. We all deserve and should strive to give the same respect and acceptance that we would want for ourselves. Once you understand and practice this concept, a great healing occurs. 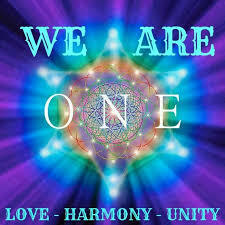 It is the one concept that once realized would change our divisive world into a harmonious state of existence. All Faiths Seminary International aspires to teach this concept to all individuals that enter its doors. Our seminary is leading ordinary people to become extraordinary Spiritual Leaders/Interfaith Ministers through Interfaith Studies.